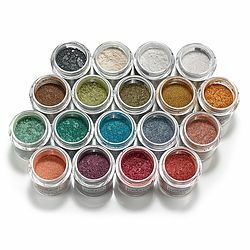 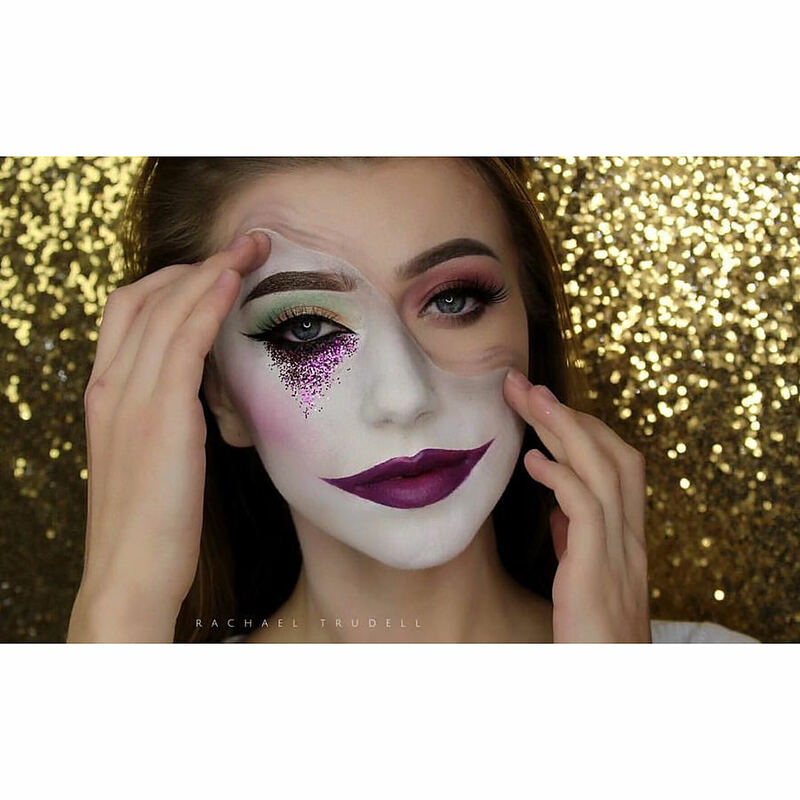 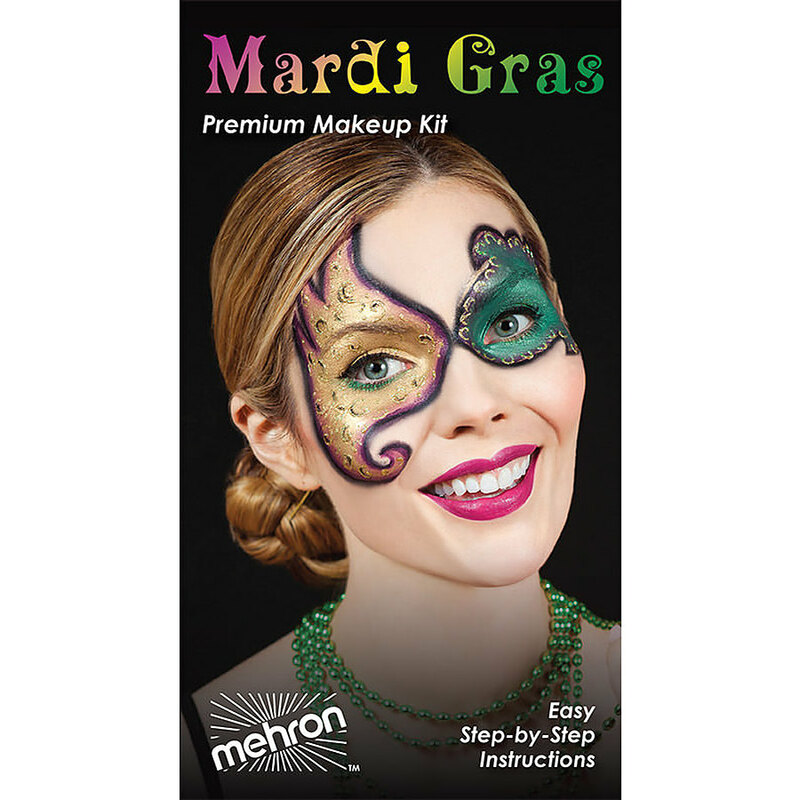 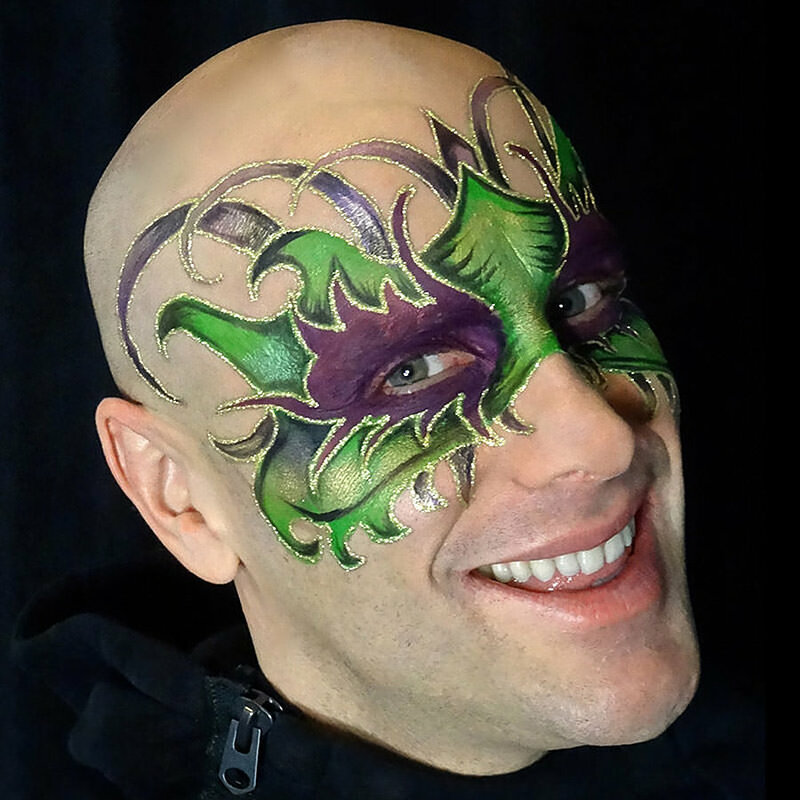 Mehron’s all-inclusive Mardi Gras Makeup Kit gives you all of the makeup and tools you need to create the perfect Mardi Gras face painted mask. 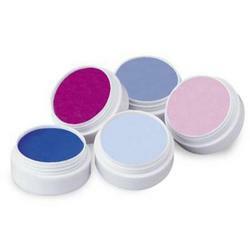 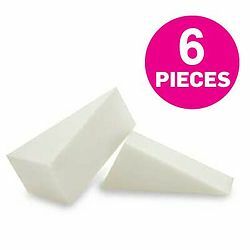 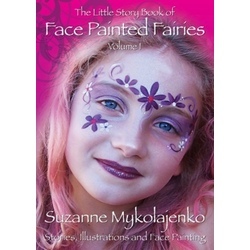 Includes detailed step-by-step pictorial instruction booklet created by Mehron’s professional makeup artists. 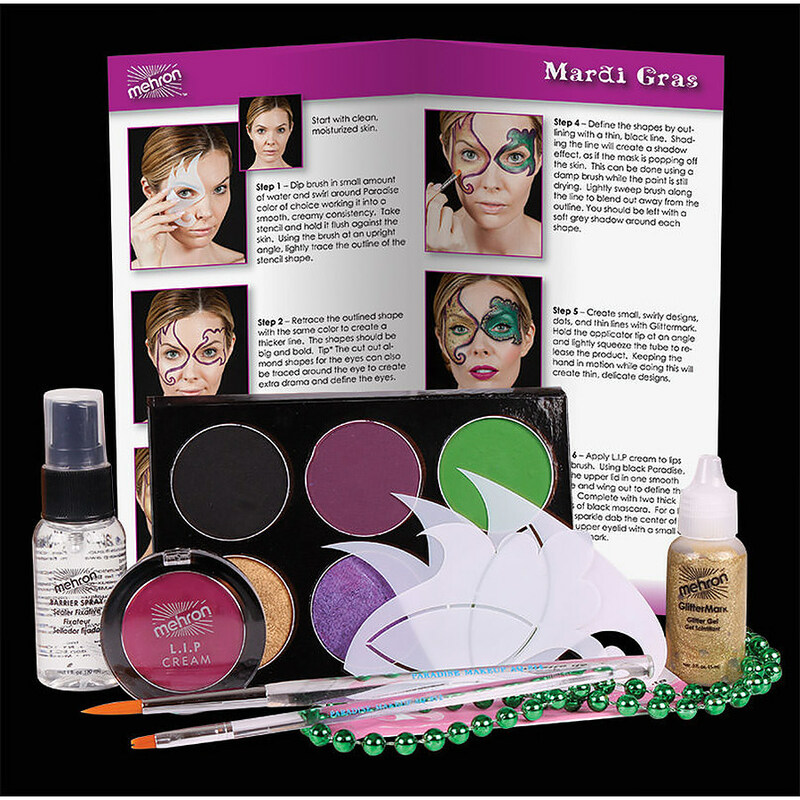 This informative guide will help you create a festive New Orleans style Mardi Gras look for any occasion. 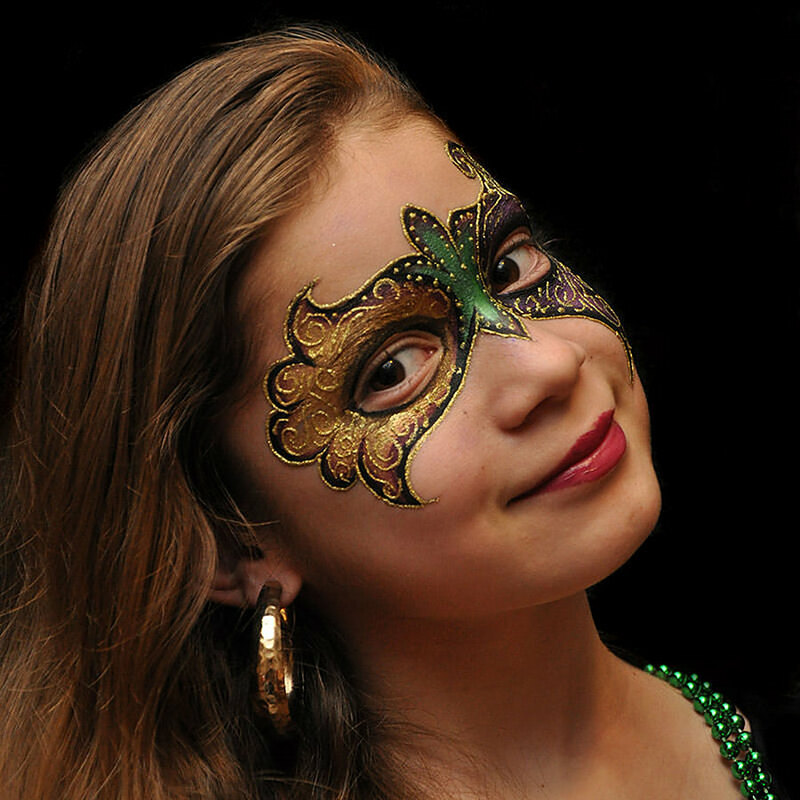 We even included the beaded party necklaces! 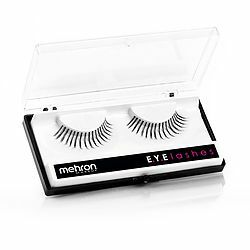 All these great professional Mehron products at an exceptional value!